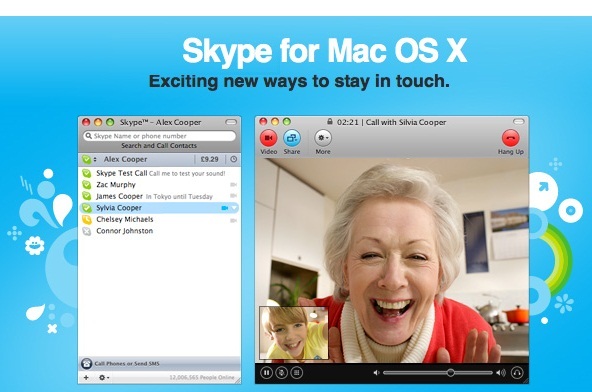 Skype certainly exceeded itself when the latest version for the Mac devices was launched. In addition, the tricks embodied by skype are highly flexible – including the phenomenal shortcuts, quick-asses tools and keys, the extra chat and video calling options have gripped the masses and an exclusive grant of a wider opportunity to all types of users around the globe. The latest features are extremely accessible when it comes to chatting on Skype. On the other hand, the usual emoticons have been extended with further concealed emoticons which have added supremacy in one’s life moreover allowing conversations to be reliable, authentic and exciting on the whole. Sharing documents was never this easy before but the contribution of Skype chat for Mac is a worthy option that lets you send files, images and other data in an instant. Another of the eminent options that skype offers you is basically the editing of the sent messages! whoa , this remarkable feature will no more let you down or embarrass you in anyway but rather provides you with an opportunity to stay on your ground, have full control over the situation and stay motivated – primarily, conversations with your loved ones in one go. The infinite chat scrolling of the newer version of skype, in other words – remarkable, momentous and yes, motion sensitive scrolling allows prominent mastery over the loading speed of the chat history. Furthermore, the additional language support has also been included which allows a large number of customers to gain access and become members of the skype family. Hence skype busy in improving its features, likewise the company has considered the several issues which were faced by the customers in the past, and one of the improvements prompted has to deal with the creation of a leisurely way to add numbers to the existing contacts in the contact list. Another issue of reduced file size during a file transfer has also been resolved and above all, the improved dial pad animation has also been inaugurated as a renowned feature of the new version of Skype for Mac devices. 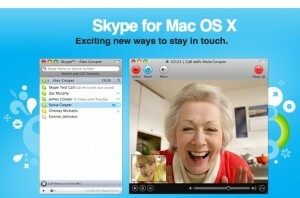 Video calling on Skype and Facebook has been updated and flourished with the launch of the latest Skype version. Video messaging and sharing screen options have been manifested and voila, a phenomenal change is experienced, shared and adopted by the users, moreover; a great deal of switching the speaker option during an incoming call has been made available: in short words – the new version has made lives contented and sparkling. User ease has been made a top priority while modernizing the Skype for Mac. Multiple options have been inaugurated in order to have a life time experience comprised of valuable connections anywhere, anytime with your adored ones granting monumental drive. MacBook Pro Touch Bar is it worth it?